George Buchanan was born in Baltimore, Maryland, on July 26, 1796, the son of George Buchanan, a prominent doctor and abolitionist, and Loetitia McKean. 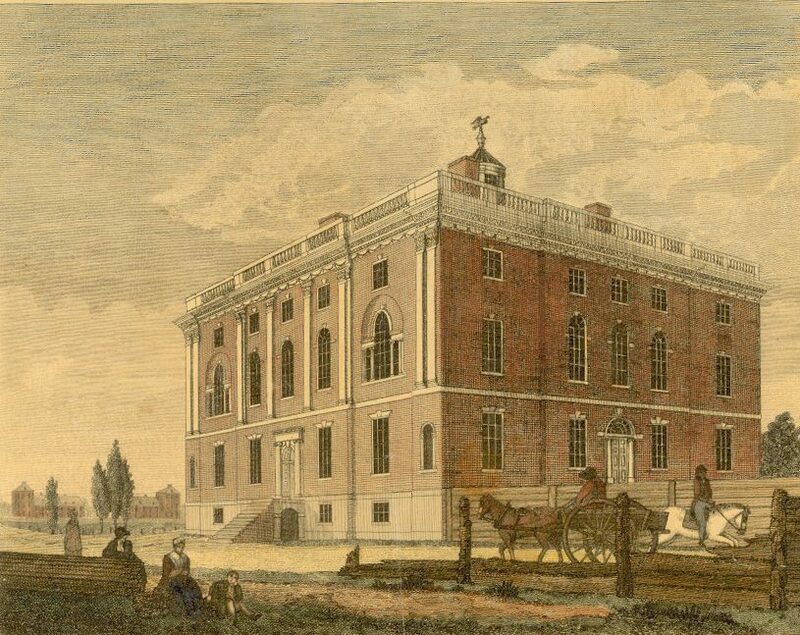 He attended the College of the University of Pennsylvania, where on October 2, 1813, he was one of thirteen founding members of the Philomathean Society, Penn’s first student organization. After graduation he became a justice of the peace and also served the Prothonotary Courts in Centre County, Pennsylvania. He also served as captain of the Pennsylvania Valley Troup in 1841 as well as brigadier general for the third Brigade of the Fourteenth division of the Pennsylvania State Militia. Buchanan’s two marriages resulted in the birth of one daughter, Evan Miles. He died in Centre County, Pennsylvania, on June 9, 1879. George Buchanan’s younger brother, Franklin Buchanan (1800-1874) served as a U.S. naval officer and, in 1845, as first superintendent of the U.S. Naval Academy in Annapolis. During the Civil War, however, he became a Confederate naval officer.